One of our favorites! 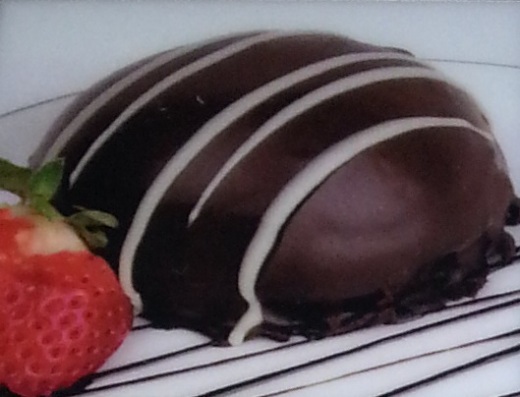 Rich chocolate cake base filled with milk chocolate mousse and white chocolate mousse. Covered with hand crafted chocolate ganache. Drizzled in white chocolate.